(BPT) – Cottage cheese is having a moment. Simply swap the mayonnaise, cream cheese or sour cream with high-protein cottage cheese, and it’s pretty easy to pull off a higher-protein and lower-calorie version of your lunchtime favorites, says Amy Gorin, a registered dietitian nutritionist and writer in New York City. For best results, start with a protein-packed brand of cottage cheese. Gorin always recommends Muuna Cottage Cheese to her clients, because its Lowfat Plain variety delivers a rich and creamy texture, plus it’s high in protein (14-19g per serving), is a good source of calcium and also contains potassium. So look at your go-to breakfast, lunch and snack recipes with new eyes, grab your blender and get creative. To get you inspired, here are five easy ways you can make the cottage cheese swap and give yourself a protein boost without going hungry. Many of us have said no to delicious and classic lunch salads we love, because mayo can add fat and calories. 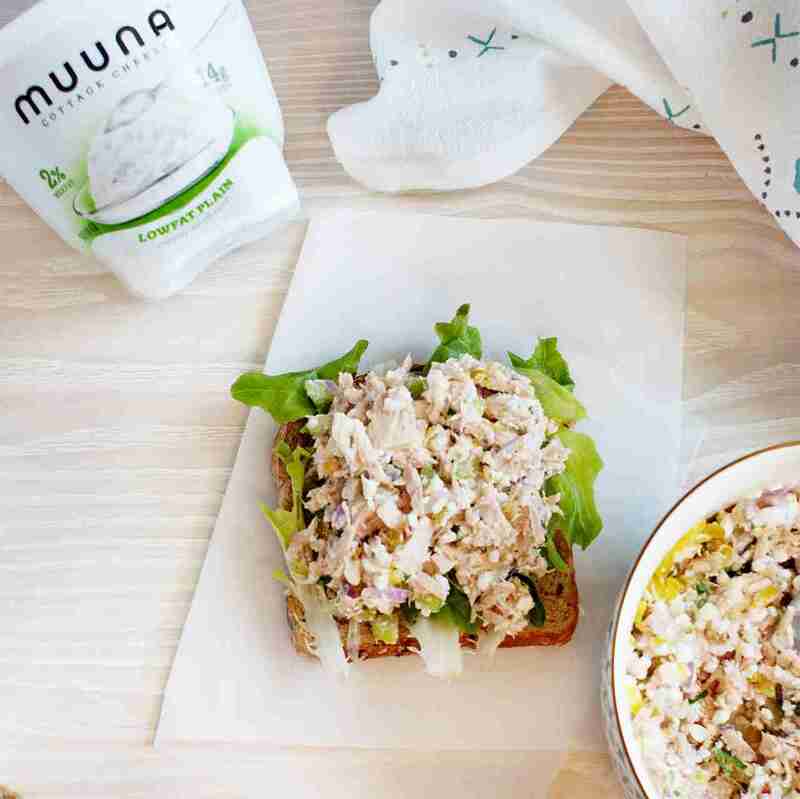 Turn to cottage cheese to make over your favorite lunches, and you can start enjoying things like tuna salad and potato salad, plus you’ll love that boost of protein. Simplify your lunch hour and use cottage cheese as a creamy base for your favorite whole-grain toast, and then stack on yummy, vitamin-packed extras, like salad greens and sliced mangos, or even strawberries and avocado. For a quick on-the-go snack or lunch side, Muuna has reimagined cottage cheese into single-serve cups with real pieces of fruit on the bottom, packed with 15 grams of protein, including strawberry, blueberry, pineapple, peach and mango. Swap out the yogurt and try using cottage cheese as a protein base for your favorite smoothie recipe. What you’ll have is a thick and creamy breakfast, likely with more protein than sugar. Kids and adults love how flavorful, creamy dips and dressings can liven up cut-up vegetables like carrots and broccoli. Sub in cottage cheese for mayo or sour cream to lower the calories and fat — and to amp up the protein and make the snack more filling and fueling. This super-simple, reimagined ranch dressing not only adds flavor to your crudites, it brings protein power to your lunchbox or your child’s.